Tomas Hernandez is owner of Blizzplanet.com since 2003. I post news about World of Warcraft, StarCraft II, Diablo III, Hearthstone, Overwatch, Heroes of the Storm, Blizzard Careers, and the Warcraft film. Blizzplanet is a leading fansite covering news about upcoming Blizzard Entertainment licensed products. I also post previews and reviews. I have interviewed book writers and Blizzard game developers. I was previously an employee of the OGaming Network (2003), and IncGamers (2008-2010). I was a guest newsposter for GosuGamers (World of Warcraft) a few years ago and for Diablofans.com (formerly Diablo3.com) ***Fans who would love to watch Blizzard-related panels and appreciate our efforts can support Blizzplanet's patreon in a monthly-basis, or a one-time basis. Our staff are volunteer fans like you. Your donatives will help us travel to all the Blizzard events we attend year-round. 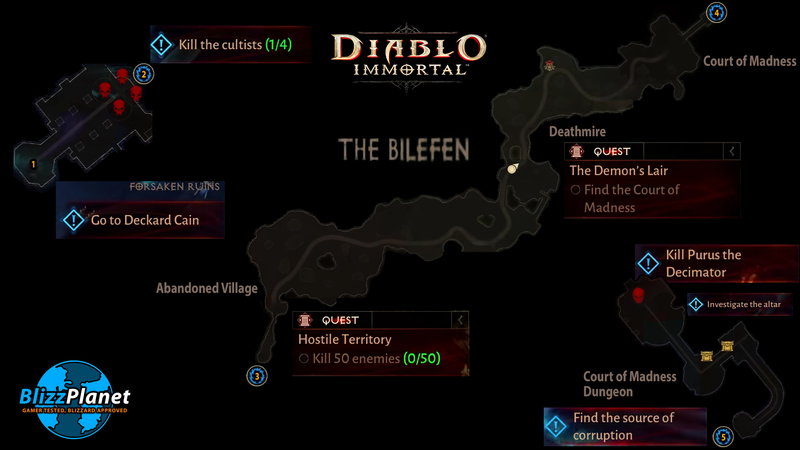 Watching a Diablo Immortal gameplay video, I put together in Adobe Photoshop all the mini-map pieces to build the Bilefen map, as seen in the BlizzCon demo. I also added the quests and small areas within the Bilefen: such as the Abandoned Village, the Deathmire, and the Court of Madness. Blizzard Entertainment invited a few livestreamers to stream Diablo Immortal. Among them are Pamela Horton, the favorite couple: Bahjeera and Jen, and Kraxell. 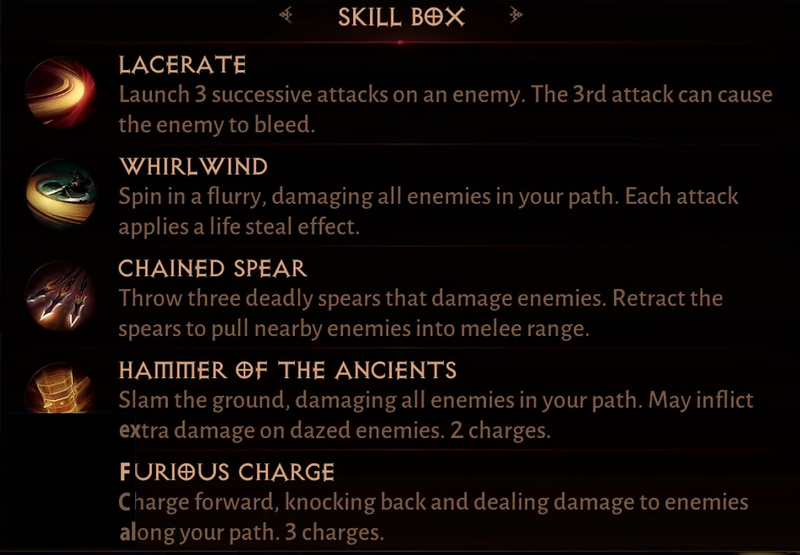 Bahjeera/Jen and Kraxell streamed for 1 hour, and both played each of the three classes available in the BlizzCon demo: Monk, Barbarian, and Wizard. Rhykker scored an interview with Blizzard co-founder Allen Adham. Originally, Rhykker thought he was interviewing Wyatt Cheng, and he had to scrap most of his pre-written questions to accommodate someone with the caliber in top-tier direction at Blizzard. Allen Adham has spent the past two years working on the Incubation department working on multiple mobile video games in addition to Diablo Immortal. 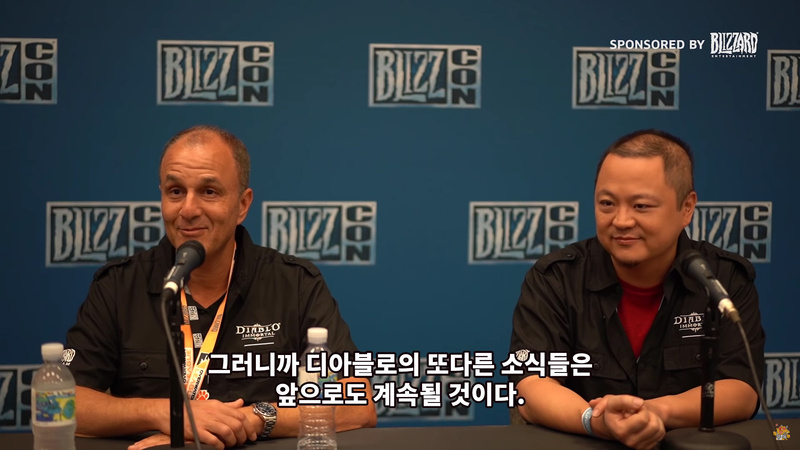 One particular moment in the interview reveals that Blizzard has never had a unannounced games line-up portfolio as large as what they have now in development. Even more striking that most of those unannounced games are coming to PC and Consoles. 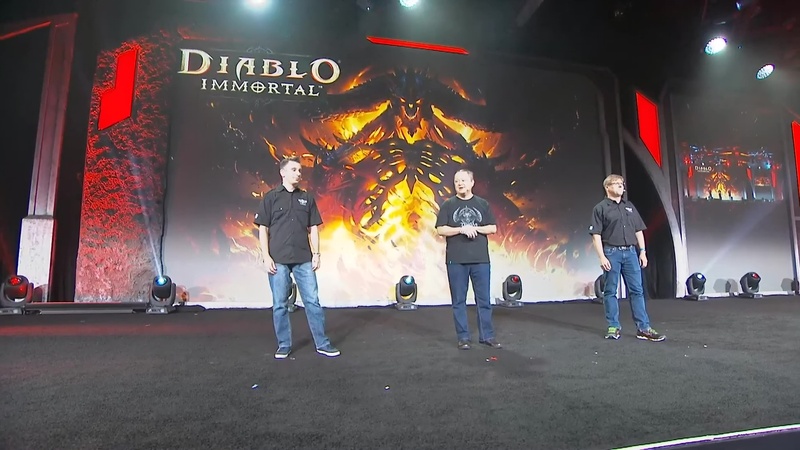 The BlizzCon 2018 Diablo Immortal Q&A panel was actually sort of a Deep Dive that revealed details about the six classes, and some of the game story set 5 years after the Diablo II: Lord of Destruction. Afterwards, the developers opened the mic to welcome questions from the fans. 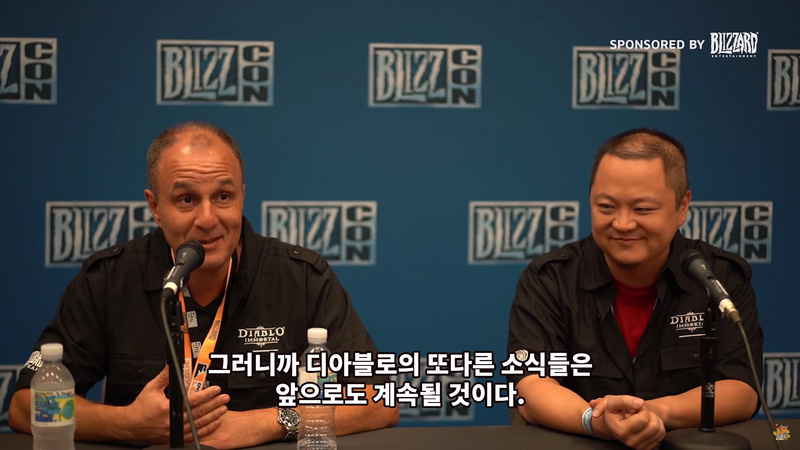 For the naysayers, co-founder of Blizzard Entertainment Allen Adham did tease Diablo IV during the BlizzCon Press Conference. He didn’t say the words, but if an image is worth a thousand words, this smirky smile of joy painted across Allen and Wyatt’s faces confirms it. Some people are comparing that guy with The Red Shirt Guy, and even tag him as a hero. Let me tell you. That guy can never be compared with The Red Shirt Guy. Ian is respectful when he differs from the developers’ opinions or in-game stories, and points out constructively his point of view. Asking on live broadcast during a Q&A if this is an out of season April Fool’s joke is blatantly disrespectful. It is not a Q&A question. It was meant as an insult toward the company as a whole. During BlizzCon 2018, the Diablo developers announced a new MMO-Action RPG game for mobile devices. 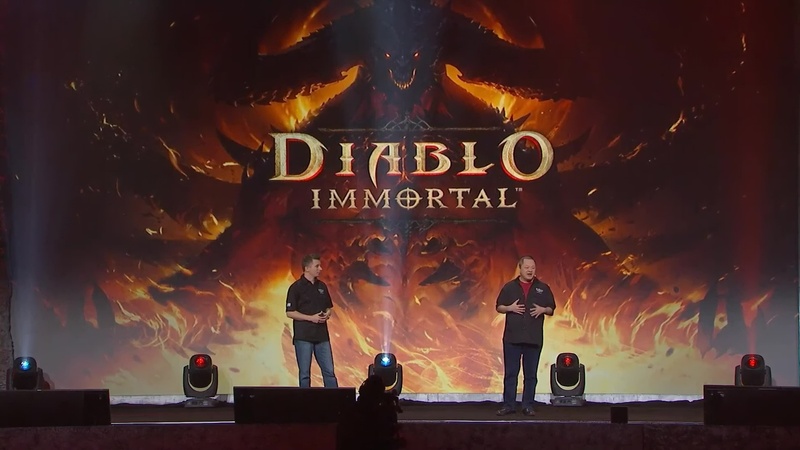 Diablo Immortal is set 5 years after the destruction of the Worldstone, filling the gap storywise for what happened between Diablo II: Lord of Destruction and Diablo III. 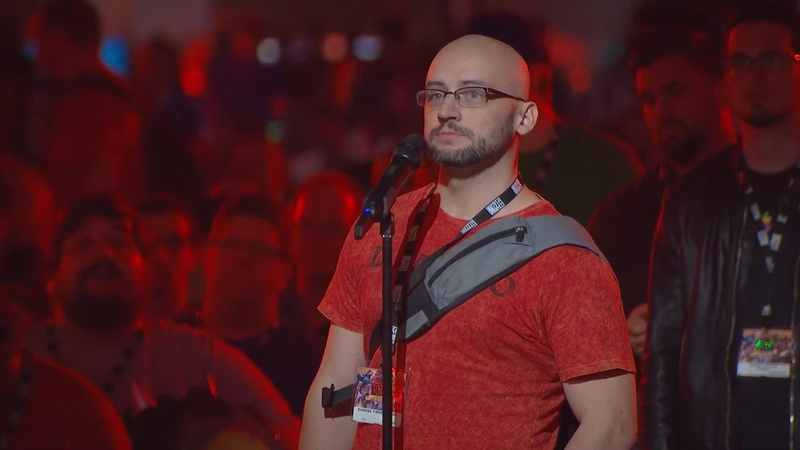 Diablo Immortal is a mobile Massively Multiplayer Online Action RPG (MMOARPG) developed by Blizzard Entertainment in partnership with NetEase for Mobile devices (iOS and Android). The story is based 5 years after the destruction of the Worldstone after Diablo II: Lord of Destruction. Blizzard Entertainment deployed a press release to announce that the Diablo III: Eternal Collection (Nintendo Switch) is now on sale and shipping. Don’t have a Nintendo Switch? You can order one here. IRVINE, Calif.—November 2, 2018—The minions of Hell have never been stronger, but reinforcements have arrived! Blizzard Entertainment announced today that Diablo III® Eternal Collection™ is available now for Nintendo Switch, enlisting a new legion of heroes into the eternal struggle against the Burning Hells. The Eternal Collection includes every feature, refinement, and upgrade added to Diablo III to date, including the critically acclaimed Reaper of Souls® expansion, and last year’s Rise of the Necromancer™ pack, as well as platform-exclusive bonus items such as a cosmetic armor set inspired by Ganondorf, the iconic villain from The Legend of Zelda series. 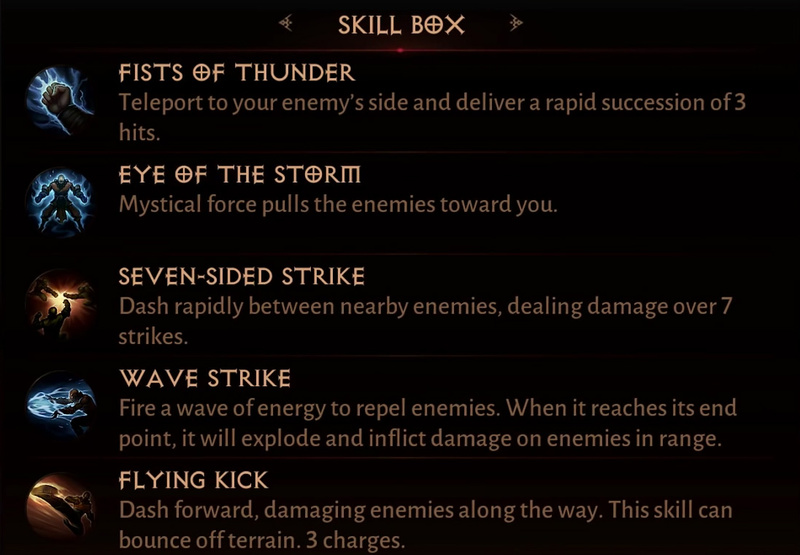 With a five-act story campaign that spans the deadly world of Sanctuary, an endlessly playable Adventure Mode, and seven powerful classes to master, Diablo III Eternal Collection is the perfect all-in-one package for novice demon-slayers, and veterans eager to cleanse Sanctuary on the go. Players looking to commemorate the arrival of the Lord of Terror to Nintendo’s newest system also have the option of purchasing the Nintendo Switch Diablo III Eternal Collection Bundle—forged specifically for Sanctuary’s newest heroes and styled to evoke the dark visage of the Lord of Terror. Available starting today, the bundle includes a Diablo III-themed Nintendo Switch system and dock, a Diablo III-edition carrying case, and a download code for Diablo III Eternal Collection. Heroes hoping for an edge in their crusades will want to take advantage of Diablo III Eternal Collection’s amiibo™ support—and seize a Treasure Goblin amiibo, available in December. Scanning the Treasure Goblin amiibo opens a portal to Greed’s Domain, the mythical Treasure Realm replete with riches and guarded by the Baroness herself. In addition, players can scan any available amiibo figure once per day to spawn packs of powerful Champion monsters to battle for experience and loot. 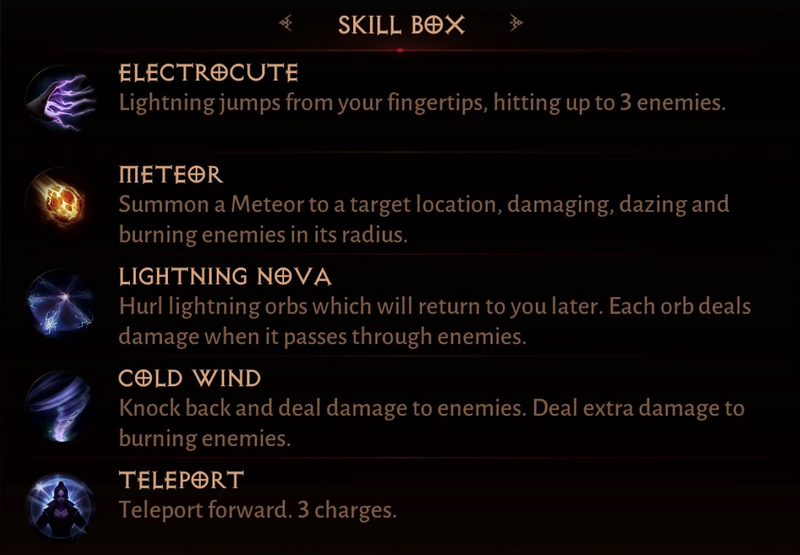 Diablo III Eternal Collection has been honed for the Nintendo Switch system, affording players full access to its deep, rewarding gameplay whether they use a Joy-Con or a Pro Controller. The full suite of multiplayer options guarantees that friends can always play together anytime and anywhere. Up to four players can link their consoles wirelessly, connect through the Nintendo Switch Online service, or share a screen on a single Nintendo Switch system. Diablo III Eternal Collection for Nintendo Switch is available at retail stores everywhere and digitally through the Nintendo eShop at a suggested price of $59.99. For more information, visit Nintendo.